I’ve had the opportunity to test out one of Vizio’s TVs for the last few months, the 65 inch D65-E0. I’ve come away impressed with it, both with the quality and the sharpness of the image. It’s a full 4K set, with small bezels and a small footprint. The blacks are black, the whites white, and it overall offers an experience I’d have trouble distinguishing from sets that cost considerably more. VIZIO’s D-Series of HDTVs offer value-minded consumers a wide array of home entertainment options. Picture quality options on various models include HD, Full HD, and even 4K Ultra HD in select models in the 43” class size and above. Most D-Series’ models feature VIZIO’s Internet Apps Plus Smart TV platform for simple access to stream TV shows and movies from Netflix, iHeartRadio, and other popular apps. A handful of newer models have recently been introduced with VIZIO’s SmartCast platform—on 24, 43 and 50-inch models—which includes Chromecast built-in and on- screen. VIZIO’s D-Series also includes a built-in Digital TV tuner for those who utilize an off-air antenna to receive free, over-the- air broadcasts. The D-Series truly has something for everyone. gaming consoles, and next generation cable and satellite receivers. 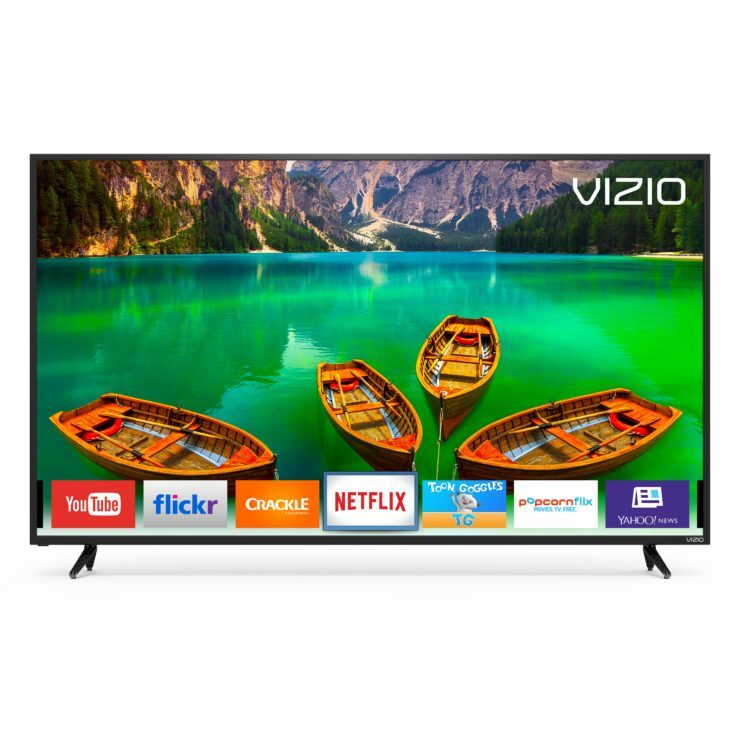 Equipped with VIZIO’s Internet Apps Plus SmartTV platform, the 2017 D-Series collection provides consumers with easy access to the hottest movies, TV shows, music and more. Popular apps such as Netflix, iHeartRadio, Xumo and more are all accessible via the on-screen app dock. High- quality streaming on 4K Ultra HD models is possible thanks to built-in V8 octa-core processor, HEVC decoding and the latest ultra-fast WiFi standard, 802.11ac dual-band WiFi. Smartphones are unquestionably entertaining on their own, with each new generation capable of cooler functions than the one before it. Daring techies, however, can ensure that their phones are capable of even more, although doing so may mess with your warranty. Not all hacks make changes to your phone though, and even when they do, the results are worth the bold behavior. Smartphone cameras are practically professional-grade these days. It’s possible to capture stunning photos with your phone. The first thing you need to do is make sure you have a phone with a spectacular camera, such as the Galaxy S8 from a carrier like T-Mobile. The carrier is crucial so that you can use apps and programs to touch up your photos. You also need something similar to T-Mobile’s 4G LTE network so that you can always send your pictures and Snapchats to friends. How serious is your commitment to becoming a shutterbug? Some of these hacks might be unexpected. •	Aerial photographs: Aerial photographs are exquisitely detailed, but they’re hard to snap unless you’re on a plane or flying a drone — or unless you have a balloon. A balloon filled with helium, a fishing line, and a remote trigger are the only items you need to take breathtaking aerial photographs — other than your phone, of course. Tie your phone to the balloon and use the fishing line to keep control of both. 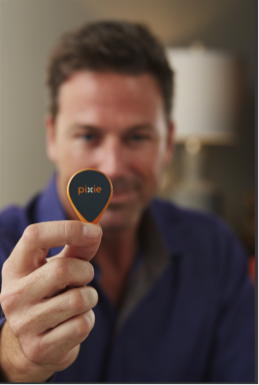 The trigger allows you to capture the perfect picture. •	Do-it-yourself filters: Your sunglasses can create an Instagram-worthy filter. Give the camera a boost, particularly if the dynamic range of your scene isn’t on-point. Hold your shades in front of the lens of your camera phone and click. This hack works even better if your sunglasses have a gradient. •	Exposure: You can similarly fake out your phone’s exposure. To take brighter pictures, slide a black piece of paper or card in front of the camera, then lock the exposure. Your phone will think that it’s too dark to take a good picture so that it will brighten up the photo. Drop the card and snap your photo. The colors will dazzle you. •	Do-it-yourself projector: To turn your smartphone into a projector, grab a cardboard box and a DSLR lens. In the box, cut a hole big enough to hold the lens and then secure it using gaffer tape. Place your phone inside of the box, upside down. The phone screen should face the DSLR lens. Queue up the movie you want to play and aim the box at a blank white wall. Instant projector! Keyboard shortcuts are lifesavers, and they can save you from any number of embarrassing autocorrect situations. Not only can you ensure that you never accidentally text about the “ducking traffic” again, but you can also set up shortcuts for your email address, for example, so that you don’t have to constantly type it into website fields on your phone. You can do the same with your home address, phone number, and favorite swear words. This sounds odd, but it’s a two-fer hack. Placing your speaker in an empty glass amplifies the sound. You can get an instant speaker boost when you’re listening to music. It’s also difficult to turn off your alarms when you have to reach into a glass. Try this trick if you’re prone to pressing snooze or sleeping through your alarm. Your smartphone’s flashlight is bright but concentrated. However, with a simple trick, you can turn it into a bedroom light, which is helpful when you’re traveling, staying overnight with a friend, or dealing with a power outage. Turn on the flashlight, turn over your phone, so the light shines upward, and then place a water bottle on top of the light. Make sure the bottle is tightly closed, of course. The water dims some of the brightness by diffusing the light and increasing its reach. Keep in mind that some hacks can void your warranty, so you always want to proceed carefully. What’s the coolest hack you’ve ever tried on your phone? This Chrome plugin also comes as a standalone app, and it does the job just as well as it does in Google’s browser. The app has the very appealing feature of displaying the lyrics to any song directly on your screen. Now, you can see the entirety of a song’s lyrics as the song plays out, eliminating any doubt about what the artist had said in each line. Use it to understand the song better or turn your phone into a karaoke machine, the choice is yours. This might surprise some people but yes, YouTube is on the list as well. Many might have not realized but YouTube has turned into a very important part of today’s musical culture. It has taken over from platforms like MTV, as in artists now resort to YouTube to promote their music. In combination with a youtube to mp3 converter, you can even download music to your computer or device, making it easy to get a hold of your favorite songs. An example of such a converter is https://ytmp3.com/, which only needs you to give them the link to the video you want converted and click a button in order to receive the MP3 version. 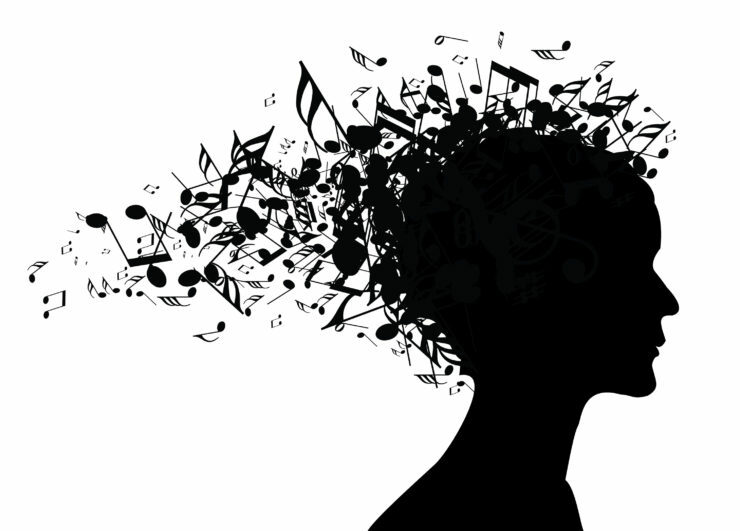 Music lovers know a lot about music, and consequentially a lot of music as well. However they don’t know everything, so when a new song comes along, the hunger for knowledge grows insatiably. Who is that artist? How old is that song? These are questions that can be instantly answered with Shazam, a service that lets you scan a song as it’s playing. The app will recognize the audio and give you the name of the artist, song, and even album. All it needs is a few seconds of unhindered scanning in order to properly capture the song audio. Sometimes knowing about a lot of songs and artists isn’t enough. Sometimes, you need to know about what your friends are listening to as well. For some it’s a way of satisfying their curiosity while for others it’s a valuable means of learning about new artists and discovering new bands, albums or even genres. If you value your friends’ appreciation for music, Last.FM is a great tool to have. It’s like the Facebook of music, where all the songs you listen to are recorded so anyone checking out your profile will know how many times you’ve listened to a specific song, or who are your top artists. In recent months, there has been an increased scrutiny on how secure modern communications are. There was the United States government wanting a way to access your personal information on your cell phone without your knowledge. 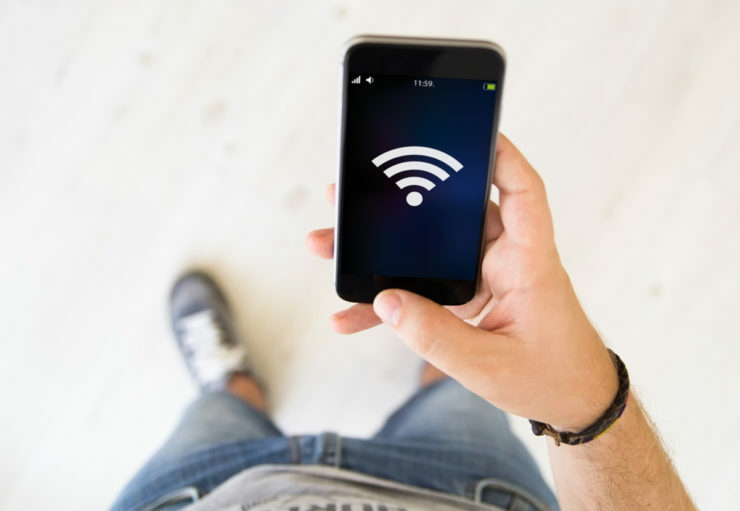 Additionally, in mid-October, a widespread hack that affected modern WiFi encryption was revealed. While these are attacks on personal information, they also have distinct implications for businesses. So while everyone’s focus is on security, now is a good time to address what a few of those terms mean, and how they affect your business. Every business relies on some form of voice communication. When choosing their phone systems, many companies turn to voice over internet protocol (VOIP) as a way of bundling their voice communication with their online presence. One of the chief security decisions when dealing with business VOIP solutions is choosing between hosted and premise-based VOIP solutions. But what does this mean and how does it affect the security of your company? Premise-based VOIP means that the servers and tech that handle your VOIP calls is on-site. Your IT department is responsible for maintaining it and the security of the communications. This is a great solution for a small business, but if you experience rapid growth, you could find yourself outgrowing your VOIP capabilities. A hosted VOIP solution means that the servers are hosted offline by your VOIP provider. This not only relieves you of the concern for security but also what to do if you suddenly need ten new lines. A hosted solution will scale quickly and easily for you. That also means that your IT guy won’t suddenly be stressed out about having to secure your new equipment. Internet security is essential to your company. Viruses and malicious attacks cost businesses over $450 billion around the world. Whether it’s a simple clean up because of a downloaded virus or a full-blown ransomware attack, the security of your computer infrastructure is a major concern. It affects multiple things, from how you choose your web host provider to how you train your new employees in the basics of internet security. While protecting your company, there are some keys to ensuring its safety. · Don’t download anything without clearing it with your IT department. · Never click on links in an email. · Don’t use personal flash drives or external storage on company computers. These basic rules are great when it comes to securing your wired infrastructure, but what about your wireless network? Wireless integrity can be a bit trickier. The standards for wireless encryption have changed drastically over the past ten years. The first encryption protocol was the Wired Equivalent Privacy (WEP) protocol. This was supplanted by the Wi-Fi Protected Access (WPA) protocol while a more robust solution was developed. That solution ended up being WPA2, whose vulnerabilities were revealed by the KRACK hack. WEP is the least secure method of wireless encryption. It was introduced in 1997 and was first cracked in 2001. It is extremely easy to break, and no company should be using this method. WPA2 is the most robust form of wireless security currently in place. This protocol allows for the use of an authentication server instead of a common passphrase. Server authentication issues a certificate to a valid user that is checked every time they attempt to log in. Keep in mind that the most vulnerable aspect of any system is the passphrase selected by a user. For example, “1234” or “password” are still commonly used passphrases. This makes those systems vulnerable to attack. When dealing with the security of your company, employee education is perhaps the most important link in the chain. This is a sponsored post written by me on behalf of Milo Wifi for SponsoredTweets. All opinions are 100% mine. Internet speeds have been held back for several years, and setting up and connecting to the internet at home has become increasingly difficult. That’s where Milo wants to make a difference. The Milo Wifi System is able to add coverage, reliability and flexibility to any existing Wi-Fi setup, and its simple setup process makes it a breeze to get it up and running. 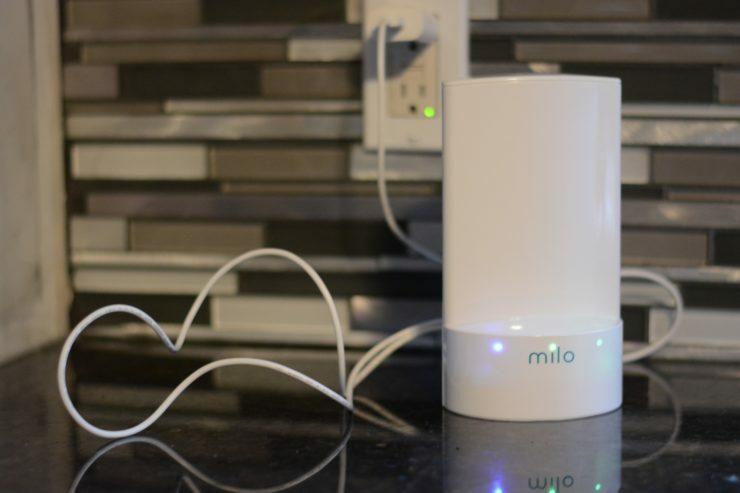 Milo can be configured as its own Wi-Fi network, without the need of a router; or it can be configured as an addition to your existing router and network. Adding Milo to your existing network will allow your Wi-Fi network to reach farther and faster. It does this using a feature called SmartSeek which constantly checks your connections and adjusts them to give improved performance. When I setup Milo, I used the recommended configuration of adding it onto my additional router. I saw increased speeds from areas in my house that normally take long to load webpages. Using Milo I’ve seen about a 20-30% improvement from both uploading and downloading speeds. While the increased speeds have been nice, the biggest benefit of adding Milo into my network has been the increased reliability. Before, my internet while playing Overwatch would suffer with small dips and random lagging every so often. It was enough that I’d have to reset my router every few days. This problem affects many gamers, whose unreliable connections to the internet have caused countless losses and have resulted in thousands of online casualties. But once I connected Milo, my internet has become significantly more reliable, and my lagging and disconnects have essentially ceased fully. Along with the increased reliability, I love the improvement in range I’ve begun to see. My living room had been a very weak area for my network to reach, causing our Smart TV to stop and buffer several times while watching Netflix, but by putting the additional unit in the kitchen between the living room and the computer room (with the router), Netflix has been loading movies significantly faster and without breaks to buffer. By having Milo extend my network, I’m able to use my fast Wi-Fi throughout my house, instead of hitting dead spots where my internet feels like it came from 1996. Milo comes with one base unit as well as, either 1 or 2 additional units depending on the size of your home and the needs of its users. A 2-pack will work well for Wi-Fi networks up to 2,000 sq. ft., and a 3-pack will work well on Wi-Fi networks up to 4,000 sq. 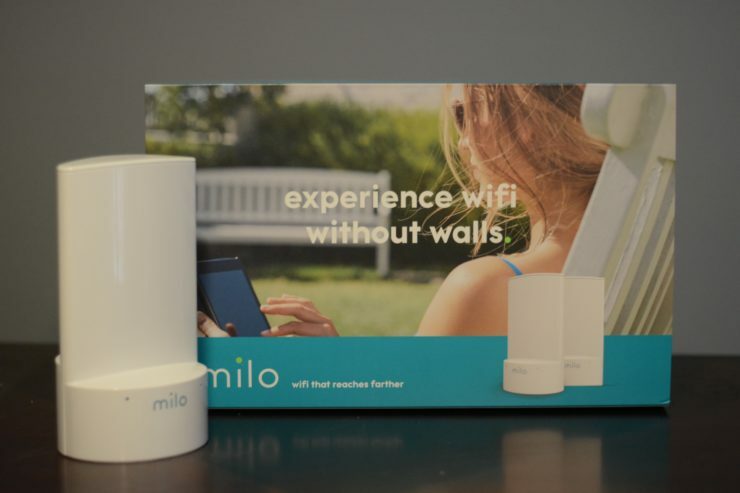 ft. And setting up Milo is incredibly easy, simply connect the base unit to either your modem, or existing router (depending on which way you chose to use Milo) power up the additional unit(s) and configure the network using the Milo Wi-Fi app. It’s available for $129 and $189 for the 2-pack or 3-pack respectively. Overall, adding Milo to your existing network is a good solution for anyone who feels like their network has been a little too unreliable, or could stand to have better range. Every company’s needs are unique so why shouldn’t web hosting providers meet them with flexible offerings? Whether you’re a startup enterprise signing up for your very first website, or in the midst of growing and switching to a Virtual Private Server, the host you choose to go with should be scalable, offer you the best in customer care, and bonus features at a price point you can’t refuse. Bear in mind that simply partnering with a strong webhost can boost your user engagement, because they will offer you and your customers reliable, consistent service. A Canadian web host like HostPapa makes it easy to run a website and offers versatile services with a variety of packages, suites and add-ons, so you can customize your options to fit your hosting needs. There are three tiers for shared hosting from their Starter package, to their popular Business package, to their Business Pro package, which all include free domain registration, unlimited bandwidth and essential features such as a 99.9% uptime guarantee so websites will always stay online and available, and an easy to use cPanel for controlling website activities. The Basic package is excellent for those who only require up to two websites, and up to 100GB of disk space which is ideal for personal websites or bloggers (especially because WordPress ready hosting is also available with Basic plans). The Business plan is suitable for agency businesses that need to host multiple websites on their server. This option also includes unlimited e-mail accounts and twice the amount of CPU. 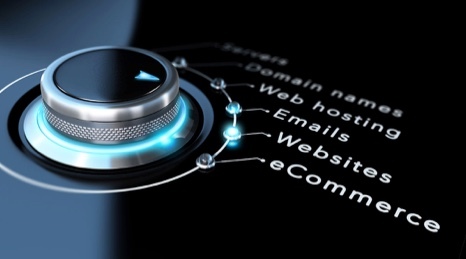 The Business Pro option is ideal for growing businesses that perform many online transactions and require more robust security features; this package includes a Premium Wildcard SSL, automated website back up and domain privacy protection in addition to other performance enhancements, and all essential and advanced features. Now, there may come a time when a business starts to outgrow shared hosting, requiring their own dedicated set of resources on a server that is more private. For these companies, there are 5 VPS packages available offering more core memory, storage space, and transfer. Because VPS is managed, certain things are taken care of for the clients like software upgrades, e-mail configuration, security audits and firewall setup. All of the VPS plans have essential features included in them too like lightening fast server speeds, instant provisioning, and access at the root level. Larger scale businesses can also sign up for add-ons like G-Suite or Microsoft 365 with this provider enabling them to have business class productivity. Finally, this webhost boasts an award-winning customer care centre that helps companies trouble shoot any glitches they might be experiencing; it is here they may also access the PapaSquad support service by phone, e-mail or live chat around-the-clock should they require further assistance. With so many web hosting plans to choose from, ensure you’re choosing the one that puts your business priorities first. Choose the one that does everything in their power to satisfy their loyal customers, that offers them affordable hosting they can’t refuse. Whether you are looking for the best Bluetooth earbuds to listen to the latest lecture that you recorded or you simply need a more sophisticated calculator, you know that certain gadgets are imperative to streamlining the education process. Learning more about how certain gadgets can benefit you when you are learning will help you to make sure that you have the ones that you need to get the most out of the material that you are studying. Certain tech gadgets make it easier for you to study on the go, or at least review lectures and the basic material. For example, if you have the best Bluetooth earbuds handy, you can listen to lectures while you are commuting to school or when you are waiting for an appointment. You can also utilize a flashcard app on your smartphone and create flashcards that include the pertinent information that you are learning in your classes. Both of these make it easier to review the material more often so that you can master it. Technology has made it easier than ever before to take advantage of independent learning opportunities. When you are in school, your teachers and professors will tell you that for every hour you spend in class, you have to spend one to two hours at home reviewing the material. Before technology changed the world, this typically involved just reading your notes and your books. However, you can not engage in interactive activities and even host virtual study groups. All of these efforts will make it easier for you to learn what is necessary to have a strong grasp of the subjects that you ear learning. You might also utilize technology, such as apps and videos, to go further than what you learned in class to develop a higher level of understanding. Most textbooks, at least for college and university classes, come in both a physical and a digital form. While both get the job done, there are some additional advantages to digital books that you can take advantage of. There are many reasons why you might consider this type of textbook, including no waiting on shipping, instant updates and interactive review sections. In many cases, virtual books are cheaper compared to the physical book and you will not have to lug multiple texts around either. You can keep all of your books on your tablet or laptop when you use digital versions. One other cool feature is that these books might read themselves. This means you can listen to the text for an alternative way to digest the content. When you are studying, you know that certain techniques are more effective for others when it comes to you comprehending and retaining the information. Some people will benefit from reading, some need to see the content in action and other people are hands-on learners. 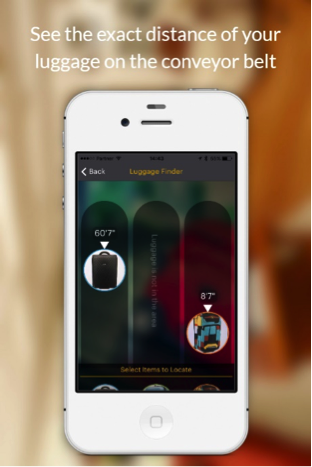 No matter your style, there are technology gadgets and applications that you can take advantage of. In fact, classrooms throughout the world are already making these varied methods part of class. For most people, the act of sitting there, reading and taking notes for hours on end can get boring very quickly. When you start to get bored and tired, your attention wanders and you are not getting as much information. When you incorporate technology, you can vary your approach to studying so that you can better stay engaged with the material. For example, when reading and writing are getting tedious, switch it up and listen to a lecture or take advantage of an app that allows for a virtual hands-on approach. You can see that tech gadgets can certainly help you when you are working to learn something new. 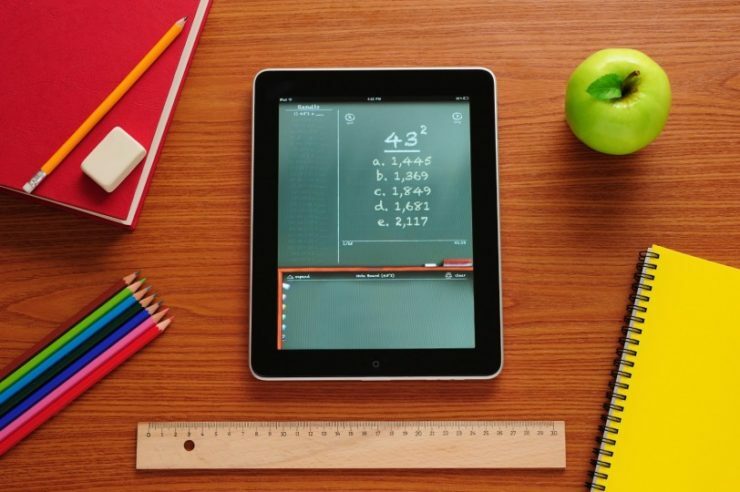 The key is finding the gadgets that are most beneficial to your specific learning style. You also want to consider the class that you are taking. For example, a scientific calculator will not be of much help in a history class, but it could make your life a lot easier when you are working to pass calculus. You just want to make sure that the gadgets that you use are accepted by your professors so that no issues occur. When it comes to this Asus laptop, the first thing that will probably raw your attention is the price. 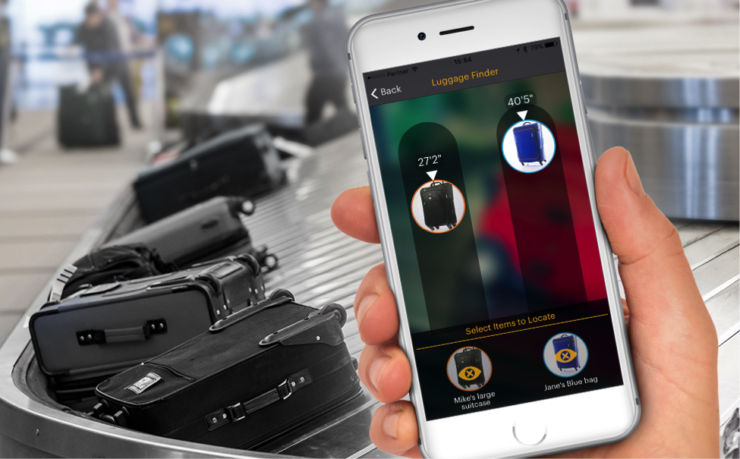 The device offers users a fantastic value for money, being one of the most affordable products on the market, while also being one of the most performing. The Asus Zenbook Pro is the ideal alternative for the much costly Dell XPS 13: it costs less and is extremely efficient when it comes to day to day tasks. In addition to this, it is extremely resistant – its beautiful aluminum body having both an aesthetic and a practical purpose, since it protects the components thoroughly. Even if it is very slim, this laptop has a great screen and comes in different specifications, which obviously have an influence on the price. However, keep in mind that Asus is a brand known for providing great value to its users – you will not regret if you purchase this model. With the updated jaw dropping design and incredible technical features, the MacBook Pro continues to stays ahead of our list of recommended laptops for 2017. The Touch Bar and Touch ID functionality bring the model into actuality, improving users’ experience considerably. Taking into consideration its specifications and great battery life, this device can keep up even with the busiest and active users. It is definitely one of Apple’s top of the range models, without being overpriced or overrated, especially compared to Windows-based counterparts. 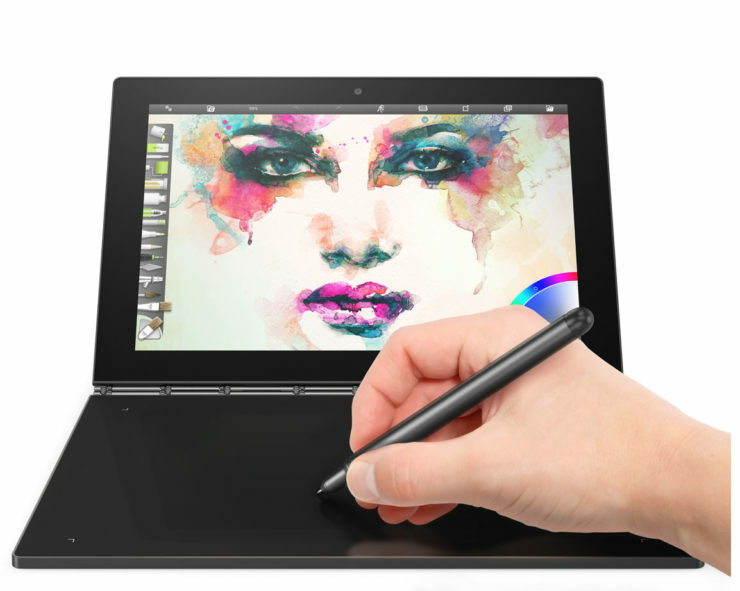 If your budget does not allow you to invest great amounts in a laptop, then the Lenovo Yoga is exactly what you need. It is quite versatile and affordable, not to mention it is ideal for a dynamic life style. As its name suggests, the screen folds so it can also be used as a tablet. What is more, it comes in to operating systems: Windows 10 or Android 6.0. This means you have the freedom to choose the one you are more familiar with or more likely to use. In spite of the price, the screen is very performing, while the keyboard and touch keyboard are user friendly as well as efficient. It’s gift season. And these days, gift season means gadget season. Consumer electronics companies often choose this time of year to mass produce cheap garbage that no one should buy. We will often buy enticing looking tech objects for gifts that we would never buy for ourselves. These cheap gadgets have the benefit of making us appear to be thoughtful gift givers, while also providing a sense of being on the cutting edge of coolness. Drones are the hot tech item of 2017. And they will be flying off of store shelves like nothing else this year. The reason is versatility. Drones cover the market in the categories of age, experience, utility, gender, and price. There is almost no category of person that can’t find a drone that is right for them. You can get the drones without camera options, or the ones with 4K resolution. If you have mischievous teens, the drones without cameras may be a better gift as there is less temptation to invade the privacy of others. However, if you want to have family outings and adventures, a camera drone can be a lot of fun, and capture high-quality photos and videos of everyone. 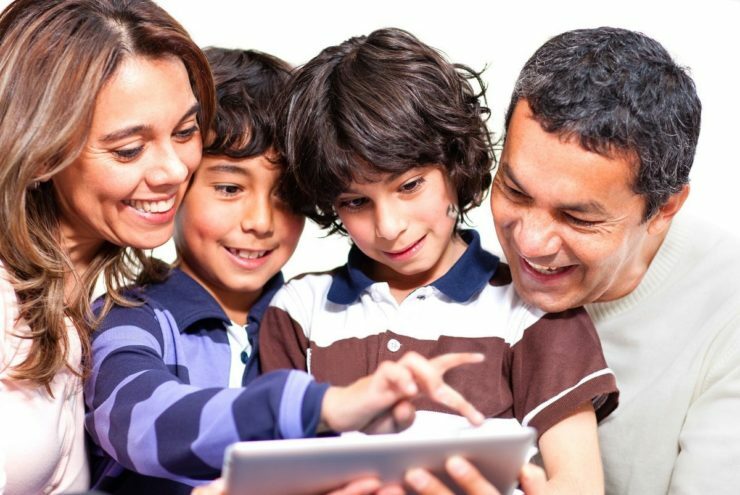 Speaking of adventures, if you are having family adventures with kids, there are few things more useful than a modern tablet, and not just any tablet, but a big one. While there are many good smartphones from which to choose, there is still only one premium tablet to consider: the iPad. For a tablet used by the entire family, we can narrow that further to the iPad Pro. By going pro, you get a bigger and significantly better screen. If what you need is the best screen for watching video content such as movies and TV shows, you simply can’t do better than the screen on the iPad Pro. But not everyone will be interested in watching TV. The iPad Pro combined with the Apple Pencil makes one of the best digital drawing experiences money can buy. Even if your budding artist prefers to color instead of draw, the coloring book experience on the iPad Pro is better than any paper book and box of crayons. When the kids are not using the iPad for movies and games, you can use it for work. With an LTE model, you can connect to your company’s intranet using VPN. It can serve as a reader for your digital book collection, even Kindle books. It can serve as your interactive map, music player, or conduit to the World Wide Web. You don’t need to buy everyone in the family a separate iPad. But a family iPad will be one of the most used gadgets your will own. All your digital toys need to be charged. When you are on a trip, there will always be some crucial device that is dangerously close to running out of juice. There are a plethora of good choices in this category of device. Even the Wirecutter, which is famous for giving just one recommendation for the best in a category, offers you four power banks from which to choose. It is hard to say that one device is the best. Our advice is to get the one that packs the most juice within your price range. That way, there is a good chance it will last for several days while everyone tops off when away from an outlet. For many, these are tough economic times. Avoid the temptation to buy lots of tech gifts that go directly from box to junk drawer. Instead, buy drones and iPads and power bricks and other things that the entire family can use. Your wallets and the less crowded landfills will thank you. Are you in the process of planning a wedding? Have you come to find that you are already spending a lot more money than you thought you would? Are you looking for ways to save money on future expenses? If you answered yes to these questions, you are in the same position as many others. With the average cost of a wedding right around $35,000, it goes without saying that you’ll be spending quite a bit of money as the planning process moves forward. While shopping locally for some items is a good idea, others can be purchased online. Not only does this give you access to a larger selection of products, but it goes a long way in helping you save money as well. Some products are easier to purchase online than others, but paying attention to trends will go a long way in helping you understand where to get the best deals. Are you making your own cake? How about your own cookies? If you’re doing any baking for your wedding, there may come a point when you need to write something on your final product. This is where a cake decoration pen can really help you out. Since you aren’t a pro, this will go a long way in ensuring that your writing is legible. Who needs a drone for their wedding day? While this may not be something many people have used in the past, it’s something to consider for your big day. With a drone, you can take aerial shots of your wedding, such as an outdoor reception. Even if you’re hiring a photographer, you could purchase a drone for one of your friends or family members to use for additional pictures. It sounds crazy, but it’s something a growing number of people are doing. You may want to join in on the fun. If you’re the type of bride who wants to change dresses at some point in the night, this is a gadget you’ll definitely want to consider. 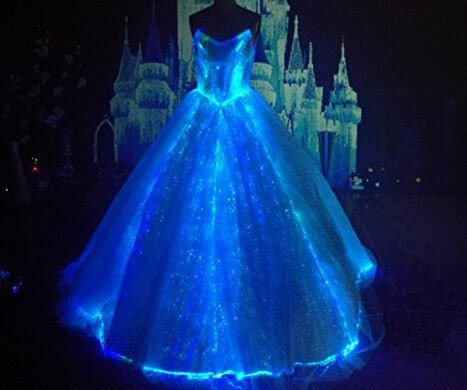 With an LED dress, you can be rest assured that you are the center of attention (as if you really have to worry about this). It sounds tacky, but it can be a lot of fun. If nothing else, search online for more information. You may be excited by what you see. In today’s day and age, more people than ever are carrying a smartphone. It’s safe to assume that you and that special someone in your life fit this mold. Why not purchase phone cases labeled “Mr.” and “Mrs.”? 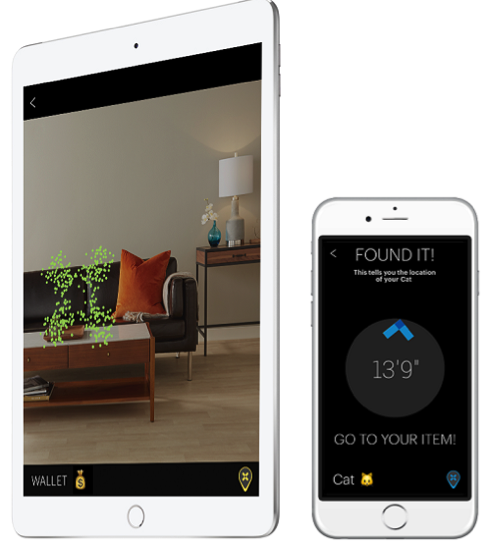 This is a cool gadget that will only set you back a few dollars. It’s a great way to take your nuptials to the next level. Depending on the type of reception you’re having, a karaoke machine may be one of the best ways to add a bit of action. If you aren’t hiring a DJ or if this person doesn’t have access to a karaoke machine, you may want to purchase one of your own. Since there are so many models to choose from, you’re best off shopping online. This will give you access to a large selection, as well as the most affordable prices. Tip: You don’t want to buy a cheap karaoke machine, as this is a surefire way to kill the fun before it begins. Once your wedding comes to an end, you can take the time to look over your expenses and formulate a plan for ridding yourself of any debt. This could include everything from using cash to pay down personal loans to opting for a balance transfer credit card to help fix your credit. Since you want to get the most bang for your buck, it makes good sense to consider all your options when making any type of purchase. This will often lead you online. Have you planned a wedding in the past? Did you purchase anything online? 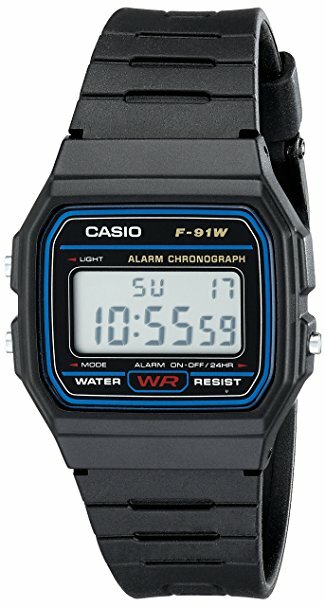 Did you come to find that this saved you money? Share your personal thoughts on buying wedding items online in the comment section below. You may have a friend who plays constantly and is fond of saying he’ll “turn pro one day”. You may have laughed at this friend, because hey, it’s just a game, right? How can one make a living off gaming? Well, let’s be real. You knew there was money in gaming, but did you know just how much? The infographic below gives you a solid breakdown. $10,000,000 for DOTA2? That’s some real money. Sure the odds of ever winning something like that are slim and the competition is stiff, but the dream these players are chasing is real and ridiculously lucrative so who can blame them? The Tech Industry is a very diverse industry and its varied sectors have an impact on just about every aspect of our modern lives. 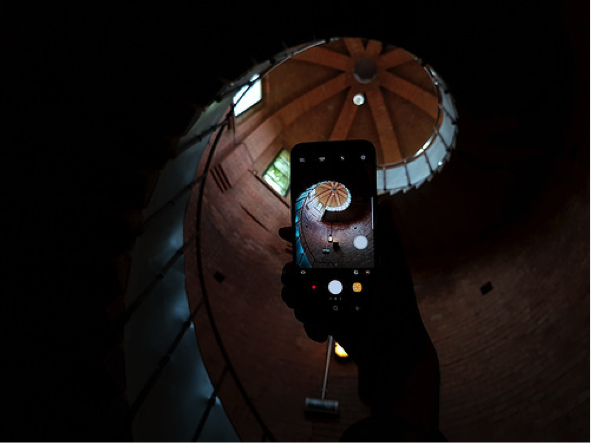 From our communications to recreation, phones, computers, social media; in fact, just about any facet of modern life that you can make is underpinned by creativity and innovation from tech firms. In the beginning, technology fields were the sole remain of self-professed nerds and what they were doing appeared to the rest of the world to be essentially magic. It is of little surprise then that the technology industry has set itself apart from other industries in a number of ways, including its approach to marketing products and services. Below are some of the now ubiquitous marketing techniques that, for one reason or another, we wouldn’t have if it weren’t for the tech industry. There is much debate as to when the first viral marketing campaign was launched and it is probably fair to say that what we now call vital marketing has always existed in some form. It took the modern technology industry to unleash its full potential, however. Viral marketing campaigns come in different forms but there are two main variations on the idea. The first is the type of viral marketing campaign that doesn’t reveal itself to be such until the very end. The goal of these campaigns is to utilize mystery and word of mouth buzz to entice a large number of people into following the campaign. They then only realize they are involved in a marketing campaign at the end. The other type of viral marketing is one where fans of a company or product will usually realize that they are taking part in a viral marketing campaign, but because the campaign encourages interaction with other fans and media, it is treated by consumers more like a game. Viral marketing campaigns are effective and, dare we say it, infectious. There is some debate as to where this trend began, but now big tech companies such as Apple and Google have a reputation for their unique business cards. Senior staff at Apple famously have business cards printed on iPhone screens, while Apple co-founder Steve Wozniak has a solid steel business card, which he is proud to use to cut steak on flights. While companies like Got Print offer business cards which are aesthetically appealing, with a little imagination you can turn them into something even more special. With virtual reality becoming, well, a reality, let us not forget its younger brother. 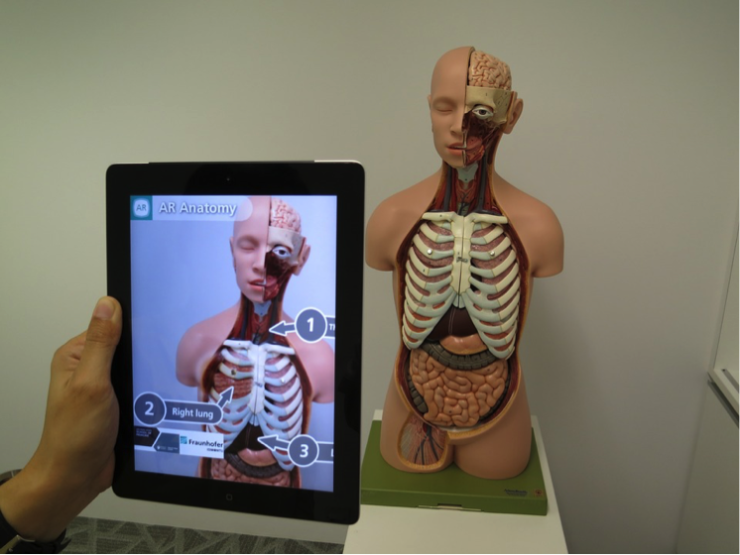 Augmented reality offers virtual reality elements overlaid on the real world either through special glasses or, in some cases, through our cell phones. The technology is in its infancy but its scope as a marketing tool is huge; soon, by just looking at a product, you will see reviews and other information that might sell it to you. As one of the most creatively demanding and innovative fields in the world, it is no wonder that big names in tech engage in some of the most memorable and effective marketing strategies ever seen. If you’re comparing PGP encryption providers, it’s probably because you value security and privacy. You don’t want people snooping around your emails, especially not cybercriminals who can use your personal information against you. 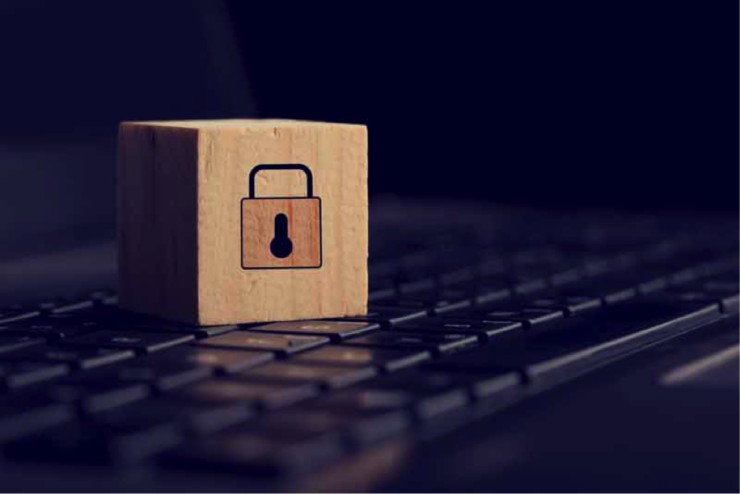 If you’re a telecommunications user concerned about security, look for a PGP encryption provider with these 4 features. PGP encryption is easily accessible in the form of BlackBerry PGP encryption: an encryption provider will tailor a BlackBerry mobile device so that it’s highly secure and easy to use. The most secure way to accomplish this is to strip away non-email functions to prevent malware from infecting the device. Mobile devices are being compromised at never-before-seen rates; nearly 85 percent of global smartphones were infected with some type of malware in 2016. PGP encryption provider Myntex owns its own data center and keeps it at their Canadian headquarters. Why is it important that your provider own their data center and house it onsite? First of all, it gives the provider complete control over their own data, so that they can troubleshoot problems, install critical updates themselves, control the temperature, and implement their own disaster recovery plan. Second of all, because servers and data centers fall under the laws of the country where they are physically located, wherever you or the company happen to be, it’s important that the data center be in a country that protects the privacy of its citizens. Finally, it’s important that a PGP encryption provider not actually host any data – your data, that is. It should arrive encrypted and be deleted after 24 hours, rather than stored unnecessarily. The web was built on the freedom to communicate with anyone at any time; you want to be able to send emails to anyone, including your friends, clients, colleagues, and business partners. Unfortunately, not all PGP encryption companies believe in open communications. Some use blacklists that prevent you from communicating with people using competing encryption services. Companies that are committed to open communication like Myntex never block their competitors. They keep extensive whitelists of other well-regarded, reputable encryption companies in order to keep you safe, without trying to “edge out” the competition at your expense. Whether you’re doing business or just using encryption to protect your privacy, you have to be free to communicate with whomever you want, whether or not they share the same encryption service. While you rely on technology from your encrypted email provider, if you’re using a PGP encrypted BlackBerry, you’re paying a local reseller for the service. You want to choose an encryption provider that works closely with its resellers to provide superior customer service. When local resellers use prepaid SIM cards from the encryption provider, they can get your tailored device ready and activated in a matter of minutes. If you don’t use these SIM cards, it can take days to get your device activated. You should also be able to talk to your local reseller if your mobile device is lost or stolen so that they can execute a remote wipe 24/7. Remote wipe is your last line of defense when your privacy has been compromised, and the right provider makes the feature easy and accessible. The digital world is changing and security is more important than ever before. Tech media has claimed that “hacking has gone mainstream” – increasingly, people see hacking the way they see car accidents, inevitable. But with PGP encryption, it doesn’t have to be; and make no mistake, becoming the victim of cybercrime can quickly prove costlier than any fender bender you’ve been in. Many seniors experience a deep sense of social isolation (this guy up here doesn’t mind though). This is due to a number of factors: they are no longer part of a workforce, family and friends have moved away, and it may be more difficult to leave the house to do the things they used to. In addition to sociological factors, seniors struggling with cognitive challenges or mobility issues find it difficult to connect with others, simply because it’s difficult to join a senior center or religious community and participate in activities. Loneliness is a sense of grief due to lack of social connection. It creates psychological issues like depression and anxiety, as well as sedentary behaviors that increase health risks. If these are not addressed, a decline in cognitive abilities also occurs. While the ideal solution to heal loneliness would be to help seniors join a community where they feel a sense of connection, technology can help mitigate many of the risks of loneliness and the anguish of social isolation. 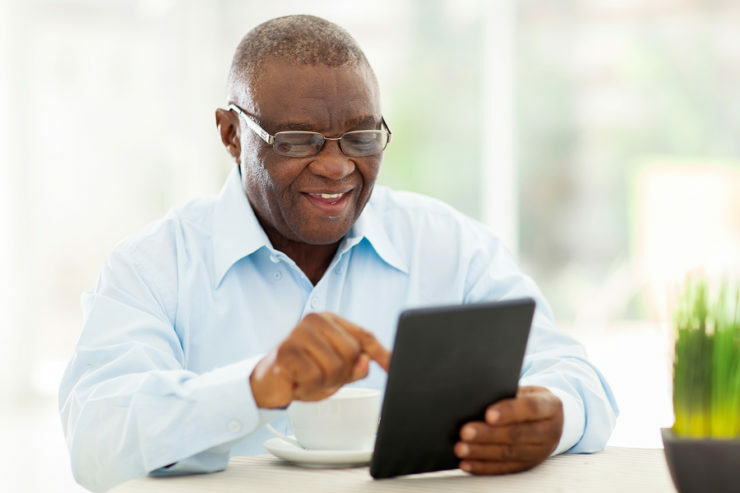 As seniors become more comfortable with the use of computers and Internet-connected devices and increasingly familiar with social media, they can engage in online communities and reconnect with family and friends. Many seniors find smartphones bewildering. Moreover, they are continually evolving. Manufacturers make advances and add innovative features with every new model. For instance, earlier Android models of the Samsung Galaxy series did not have the need for much security because the technology was so new that hackers hadn’t figured out a way to exploit them. Since then, criminal-minded geeks have upped their game, but the latest Android devices have developed such sophisticated user authentication features that it is almost impossible for anyone else to use the phone. An ideal solution for technophobic seniors who are often intimidated by the vast array of icons available on smartphones is a mobile phone called the Jitterbug phone. This type of phone is designed to provide seniors with an easy and affordable way to stay connected to those around them. Even s.eniors unfamiliar with cell phones will find this type of phone easy to use, because it has an intuitive interface. The bottom half of the screen is the command area, and it asks the user what they would like to do. If, for instance, someone is in the phone list and a contact is highlighted, he or she will see the question, “Call?” A “yes” or “no” key option is available to help them whether to make a call. Other features include a built-in tutorial and a keypad with back-lit buttons. The phone also has features for the visually impaired or the hard of hearing. Vision is enhanced with a sharp color screen, menus, messages, and “yes” or “no” question prompts. Moreover, big numbers on back-lit keys makes it easy to see if lighting conditions in the room are poor. Hearing difficulties can be accommodated with a volume adjustment that ranges from low to very high, and the settings can be adjusted during a call. In addition, there is also a speakerphone option and a hearing aid compatibility feature. Since seniors are often on tight budgets, the data plan is designed to be highly affordable, and it can even be as low as $15 a month. Although many affordable service plans make up for their low monthly fee with a continuity program based on signing up for a long-term contract, this type of phone has no extended contracts, and the user is completely free to cancel anytime they desire without any financial penalties. Although common computing devices like desktops and laptops are initially intimidating for people who have spent most of their lives in a pre-digital age, modern computers are designed to be user-friendly. For this reason, many advocacy groups, senior centers, and retirement communities offer free courses for seniors to help them realize that their tech fears are unfounded. Once introduced to the amazing world of computers, they are amazed that they ever found it difficult to do simple things like surf the web, type a letter in Microsoft Word, or play a game of Candy Crush. The use of technology in relieving lonesomeness plays a much larger role in improving the lives of elderly people than many people realize. As the US population ages, many Baby Boomers, those born between 1946 and 1955, find themselves living alone. According to 2014 census numbers (the latest figures available), the older American population number over 46.2 million. Those 65 or older represent 14.5% of the population, which works out to be about 1 in every 7 Americans.